Owner Operator Insurance Virginia — Low Rates 7 Days a Week! If you’re looking for Owner Operator Insurance in Virginia call Pathway Insurance by dialing 1-800-998-0662 Monday through Friday up until 6 PM EST. Use our online chat system to speak with a license agent seven days per week until 8 PM Monday through Friday or 5 PM Saturday and Sunday. A licensed agent will get back with you very soon to discuss your needs by using the links above. Owner Operator Insurance Virginia — TRUCKING INSURANCE MISTAKES PART ONE. In a series of articles we call, TRUCKING INSURANCE MISTAKES. We will explore in detail mistakes that are made by business owners operating commercial trucks. TRUCKING INSURANCE MISTAKES can cost you financially one way or the other — you might have to pay a claim out of pocket, your insurance could be cancelled forcing you to buy High Risk Virginia Truck Insurance, you could lose customers, your rates may be increased substantially, or you can lose your business because of TRUCKING INSURANCE MISTAKES! You will want to pay close attention to our articles. In this post we will talk about why you should NEVER pay your insurance bill late. Just like your credit can be damaged if you don’t make timely payments on your car or truck loan, bad things can also happen when you pay your insurance bill late. Let’s say you need a certificate of insurance to send to a customer, so you call your insurance company or agent to obtain your certificate. Your agent or company if you buy direct (never a good idea) may REFUSE to give you one, or DELAY getting it to you until you make your payment FIRST, which can put you in bad situation. While it is true that some companies offer a grace period, meaning they may give you a little extra time to make your payments, keep in mind that you may also get hit with LATE PAYMENT FEES, and those extra fees can add up over time. Also, if you are in the habit of constantly paying your insurance bill late, what happens if your insurance company doesn’t get your payment in time? Or what happens if the last day to pay your policy falls on a weekend or holiday, and you can’t make a payment by telephone because the company is closed? Your policy WILL BE CANCELLED and it MAY NOT be eligible for reinstatement. You may have to shut your business down temporarily until you get your insurance straightened out. How embarrassing would that be for you personally? Or worse, if you are running low on funds you may have to take a cash advance or borrow money from a friend or relative – again very embarrassing. Of course, you should never operate any of your vehicles without the proper insurance. If you do you may incur both legal and financial troubles at the state and federal level. The insurance company may view the policyholder as an UNDESIRABLE risk because they just can’t seem to pay their bills on time. 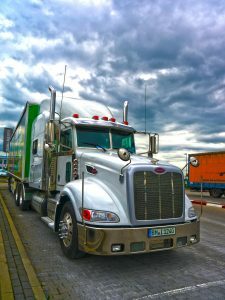 High Risk Trucking Insurance in Virginia is FAR MORE expensive compared to standard commercial insurance. HOW CAN YOU MAKE SURE THAT YOUR INSURANCE COMPANY GETS YOUR PAYMENTS ON TIME? Sign up to have your payments automatically withdrawn from your checking account or credit card if given that option. You WILL NEVER miss a payment as long as you have the money in your account. Keep these tips in mind and don’t pay your insurance bills late, as it can lead to bad results for you financially. If you have any questions call Pathway Insurance by dialing 800-998-0662. Owner Operator Insurance Virginia — Inexpensive Rates 7 Days a Week! If you’re looking for Owner Operator Insurance in Virginia call Pathway @ 1-800-998-0662 Monday through Friday up until 6 PM EST. Use our online chat system seven days per week until 8 PM through the regular work week or up until 5 PM on the weekend.